Welcome to BFTV. Down Below We have a Large selection of Channels from all over the globe. Most of the apps are from our affiliate programs and sponsors. None of the links have viruses or scams they have all been tested before use. Also Don’t forget to Check Out the Other Pages.they Carry Special offers and Discounts from our sponsor. We at Big Flavor Entertainment Thank you once Again for your Visit. For Any questions Lets Talk. HOPE YOU ENJOYING YOUR DAY. HERE BELOW ARE SOME COOL STUFF I USE ON MY WAY TO THE GYM. Hope you Guys enjoying the Tour. We told our WebDesigner We wanted something to entertain our clients while they choose what they want to do so here it goes. Down below is my favorite section the top 10 videos hitting the Clubs in New York City Now. 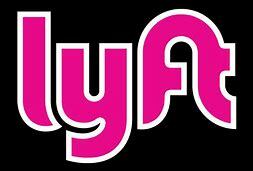 Also Down Below We Have A Free 15$ Boucher From Our Affiliate partners at Lyft, never be stranded out there. The other Links Are from our other partners at Bookingnycdjs.com and our social media sites where you could check out our past and future Events.